In an abbreviated week of baseball, the Omaha Storm Chasers (Pacific Coast League) went 2-2 before breaking for the Triple-A All-Star Game. The Storm Chasers still stand a game and a half ahead of the Memphis Redbirds in what is essentially a two-team race in the American Northern Division. Omaha will head to Memphis for a pivotal four-game set that begins on July 18. One of three Storm Chasers named to the PCL’s All-Star team, second baseman Johnny Giavotella had seven hits in the last three games before the break. He leads the team with a .328 average and 26 doubles. Fellow All-Star Clint Robinson broke out of a mini-slump with four straight two-hit games, and though he has not homered in a month, Robinson’s .542 slugging percentage leads all of the team’s qualifiers. Right-hander Luis Mendoza, the team’s final All-Star, tossed seven innings of one-hit ball (allowing only an unearned run) against Oklahoma City in his last start. Lance Zawadzki is one of the few Storm Chasers currently struggling at the plate. Now playing third base, Zawadzki is just 3-for-24 in his last eight games. Also in a bit of a slide is outfielder Paulo Orlando, who is batting .235 and does not have a multi-hit game since June 22. The Northwest Arkansas Naturals (Texas League) followed a 3-3 homestand with a 3-3 road trip, as the team took two of three in San Antonio before falling twice in three games to the Corpus Christi Hooks. The Naturals are tied for third place in the North Division’s second-half standings, but still hold the edge in a potential wild-card race. Few players in the Texas League are hotter at the plate than Nick Francis, who is batting .362 since his latest promotion from the Carolina League. Derrick Robinson has put together a five-game hitting streak that has included four multi-hit contests, a stretch that has raised his batting average to .280. Right-handerJake Odorizzi made his first two Double-A starts on the road trip, winning his first before delivering a quality start in what was ultimately a Natural loss. Wil Myers’ road trip was interrupted by a trip to Arizona to compete in the All-Star Futures Game, and perhaps as a result, the outfielder did not find a rhythm at the plate, going 2-for-18 on the road trip. On the mound, Chris Dwyer did not get out of the third inning against Corpus Christi (though the Naturals came back to win), while Zach Miner allowed eight runs in his most recent outing. The Wilmington Blue Rocks (Carolina League) went 4-1 last week, bringing their overall record back over the .500 mark. Though the team is just 9-10 in the second half, Wilmington sits just two games out of first in what is a crowded Northern Division. Right-hander Justin Marks delivered one of his best starts of the year on July 11, firing six shutout innings against Myrtle Beach. Marks lowered his season ERA to 4.28 and now has 84 strikeouts in 88.1 innings. The next day, Tyler Sample topped Marks’ effort with seven scoreless innings against the Pelicans. Fellow starterElisaul Pimentel gave up just two unearned runs in six innings against Frederick on July 11. After a scorching start to his Carolina League season, Nick Van Stratten has slowed down a bit at the plate, going 1-for-13 in four games last week, while Kurt Mertins is hitting .188 in nine games with the Blue Rocks. Tim Ferguson (.202) and Deivy Batista (.198) have also struggled to get it going for a Wilmington club that has collectively hit just .239 this season. 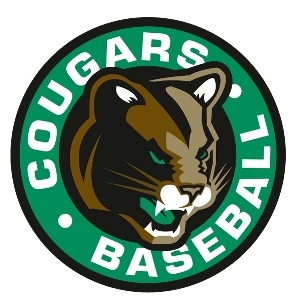 The Kane County Cougars (Midwest League) continue to lead their division’s second-half standings with an outstanding 13-6 mark. That comes thanks in part to a week that saw the Cougars go 4-2, including a three-game sweep of the first half champion Burlington Bees. There are few players in the system in more of a groove than Cheslor Cuthbert is right now. The 18-year-old third baseman has hit safely in eight straight games, racking up multiple hits in five of those contests. Cuthbert drove in 10 runs in a three-game span and is now hitting .342. Righty Greg Billo fired six scoreless against Wisconsin on July 8, and now leads all qualifiers across affiliated baseball with a 1.37 ERA. Though he does not have enough innings to qualify, relieverChase Boruff lowered his earned run average to 1.30 with two scoreless innings of his own. Righty Leondy Perez lost both of his starts last week, including a forgettable performance on July 7, when he gave up nine runs on 13 hits against Wisconsin. He appears on the way to putting that behind him, however, as Perez tossed a quality start in a losing effort his last time out. At the plate, Juan Graterol and Yowill Espinal both have gone 1-for-11 in their last three games. The Idaho Falls Chukars (Pioneer League) endured a five-game losing streak last week before beating Helena on Wednesday night. One of the team’s biggest issues is consistency on the mound, as the team is carrying a 5.72 ERA through 23 games. 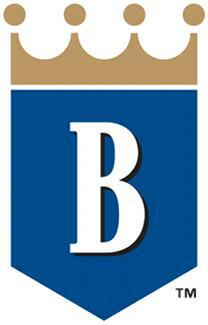 At 10-13, the Chukars sit in third place in the league’s South Division. The Chukars’ struggles on the mound have not extended to the batter’s box, as the team has posted a collective .291 batting average. In particular, Daniel Mateohas five hits in his last three games to bring his average to .387, while Richard Espy cranked three home runs last week, raising his team-leading total to four. Reliever Edwin Carl has yet to allow even a single run in eight appearances, converting both of his save opportunities. Starter Robert Penny got knocked around by the Orem Owlz on July 10, allowing eight runs in just two innings of work. Jonathan Dooley also had a rough go against Orem as he yielded five runs one day later. Catcher Tyler Smith will look to get his bat started, as he has just one hit in 13 at bats for the Chukars this season. The Burlington Royals (Appalachian League) put together what was easily their best week of the season, going 4-2 as the team looks to erase their slow start to the 2011 season. Though the the team currently resides in the basement of the circuit’s East Division, they are only four games out of first with plenty of baseball to be played. Any offensive struggles the Royals may have had are not the fault of Murray Watts, who racked up four straight-two hit games from July 8-11. He also cranked his ninth home run in 22 games and now has more than twice as many home runs as any of his teammates. Matt Ridings turned in a solid start his last time out, yielding two runs – both unearned – in five innings against the Bristol White Sox. Catcher Jin-Ho Shin had just two hits in five games last week, as his batting average fell from .211 to .189, while Kenny Swab is just 3-for-16 since joining Burlington on July 7. On the mound, Andrea Pizziconi has allowed at least two runs in each of his last three appearances, raising his ERA to 9.00. In complex league action, the AZL Royals (Arizona League) went 3-2 over the last seven days, closing the week with back-to-back wins. At 8-10, the club sits 3.5 games out of first in the league’s West Division. Somehow, Nick DelGuidice improved on his torrid start to the season, raising his batting average from .444 to .453 over the last seven days. Riding a nine-game hitting streak, DelGuidice has driven in 10 runs in his last five games. Nicholas Cuckovich has not kept up quite the pace of his teammate but is batting .358 with an active six-game hitting streak. On the mound, Julio Morales allowed just two hits in 4 1/3 scoreless innings last week. Right-hander Fernando Cruz had a rough outing on July 8 against the AZL Padres, allowing five runs in just an inning and a third. He has now been tagged for 13 earned runs in six innings with the club. Behind the plate, Alexander Marquez is off to a slow start with just one hit in five games this season. 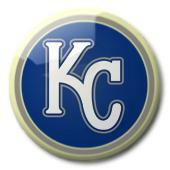 Released by Kansas City in late June, right-hander Blake Johnson signed with the Colorado Rockies organization and was assigned to Triple-A. Johnson debuted with the Colorado Springs Sky Sox on July 9, tossing a scoreless inning against Salt Lake. Also in the Pacific Coast League, Dan Cortes allowed three runs in one inning during his lone appearance last week, while Corey Smith has five hits in his last six games for the Albuquerque Isotopes. In the International League, outfielder Jordan Parraz had a nine-game hit streak snapped in his last game but is now hitting .305 for Scranton/Wilkes-Barre. Meanwhile, in Gwinnett, Juan Abreu fired another scoreless inning in his lone outing last week and has still not allowed a run since June 8. Fellow G-Brave Ed Lucas had just two hits last week, but both of those came against Charlotte on July 10, the last time he took the field. Down in the Southern League, Rowdy Hardy, Ben Swaggerty and Ernesto Mejia are all on the Mississippi Braves’ roster. Coming out of the bullpen, Hardy allowed one run in three innings spread over two appearances last week, while Swaggerty has not pitched since July 5. Mejia had a monster week at the plate, homering four times in a six-game span to raise his season total to 15. Mejia is now batting .314 in 2011. In the Eastern League, Chris McConnell had just two hits last week for Harrisburg, lowering his batting average to .219. Finally, Jose Duarte has hit safely in three straight games and is now batting .250 for the Florida State League’s Jupiter Hammerheads. The Northwest Arkansas Naturals are the Double-A Texas League affiliate of the Kansas City Royals and play at state-of-the-art Arvest Ballpark, located in Springdale. 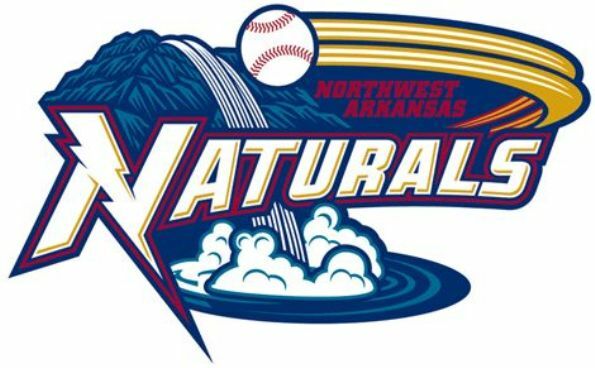 Visit our website, nwanaturals.com, for information on season tickets and ticket plans.